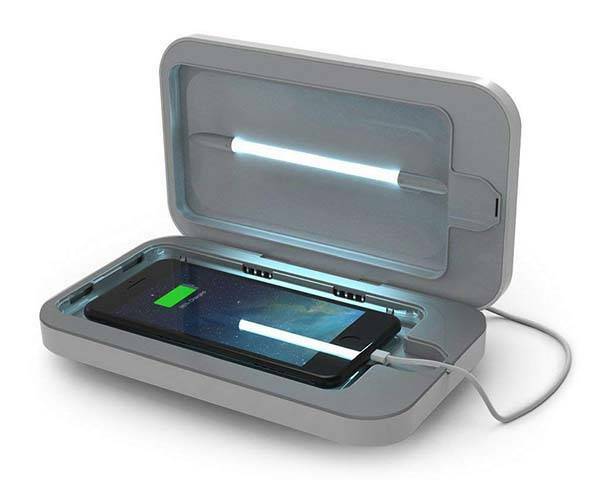 PhoneSoap 3 UV phone sanitizer not only sanitizes your smartphone, but also doubles as a phone charge to charge your mobile devices. Like the idea? Let’s keep checking. The PhoneSoap 3 is a versatile and useful UV smartphone sanitizer that measures 8 x 6 x 2 inches and weighs 1.5 pounds. As shown in the images, the UV phone cleaner sports an elegant and minimalistic appearance design, and 7 optional colors allows it to meet more personal styles. The compact form factor ensures you can easily store it in your bag for a trip. The PhoneSoap 3 features an enough inner sanitizing space to fit iPhone X, iPhone 8 Plus, Pixel 2 XL and other large-screen smartphones. Using a UV transparent plate, powerful UV-C light and a reflective interior, the UV phone sanitizer is able to kill 99.99% of all bacteria on your phone in 10 minutes every time, so you can use it to keep your phone clean and help you improve your health. Furthermore, the PhoneSoap 3 doubles as a phone charger. 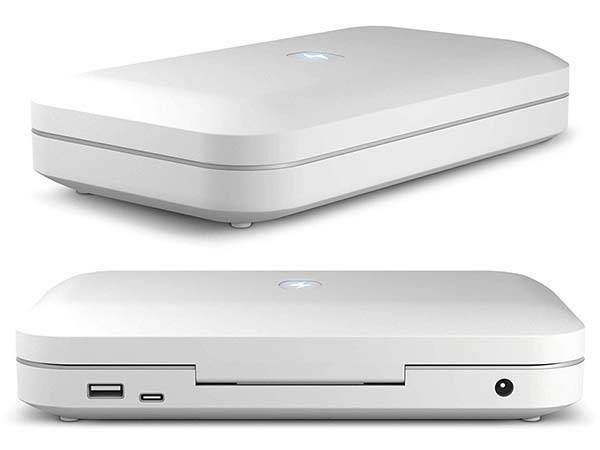 Using a USB port and a USB-C port, it’s capable of charging two mobile devices at a time. Moreover, a custom groove allows the charging cable go through so that it can sanitize and charge your phone at the same time. In addition, you can also sanitize whatever fits inside such as earbuds, keys, credit cards and more. PhoneSoap 3 UV phone sanitizer is priced at $59.95 USD. If you’re interested, jump to the product page for its more details.